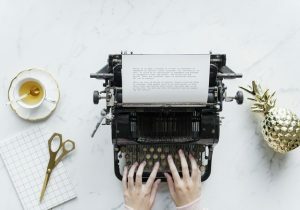 Starting a blog can be a super fulfilling endeavor but the process can also be a daunting task. There are so many options for web hosts, themes, plugins, etc that knowing where to start is difficult. 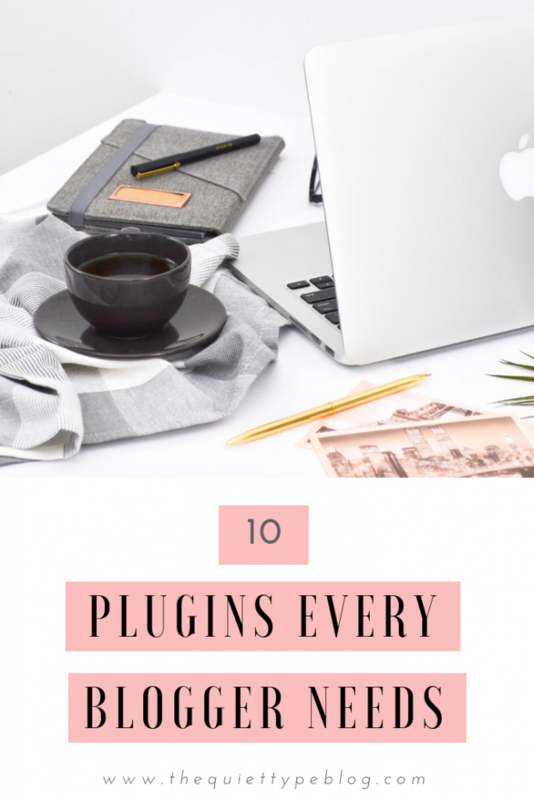 That’s why I decided to compile a list of the 10 best FREE plugins every blogger needs. Plugins are basically apps or tools that help make a blog run efficiently. 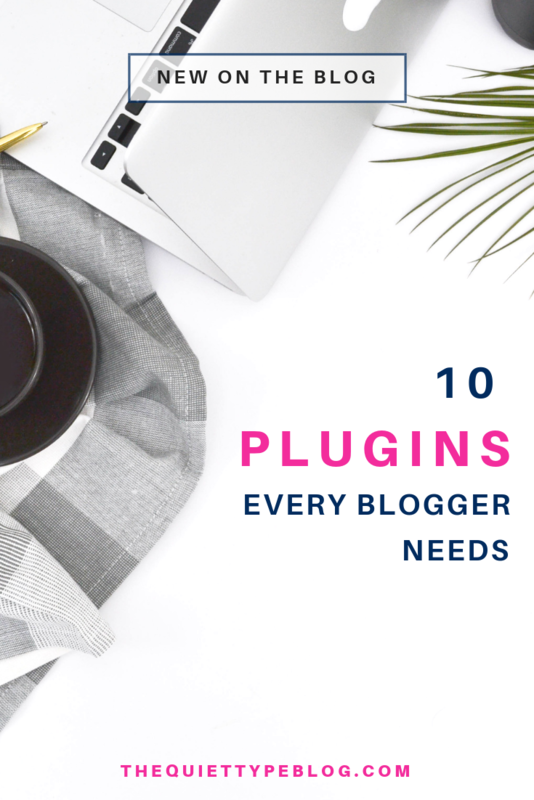 There are hundreds of plugins available and they can do so many different things like sharing on social media or protecting your blog from malicious content. Technically, plugins aren’t totally necessary for a blog to run smoothly, but they can make it run a heck of a lot better! To run a successful blog, bloggers need to be able to track how their site is doing. By signing up for a Google Analytics account and adding the plugin to their blog, bloggers will have all the stats they need. Google Analytics shows how much traffic the blog is getting and where it is coming from, most visited pages, etc. With all the data Google Analytics provides, bloggers are able to tailor their site and content in a way that increases their traffic and helps them reach milestones. It’s essentially the #1 must-have tool for bloggers. Sign up for a Google Analytics account here and then install the Google Analytics Dashboard for WordPress (GADWP) plugin. 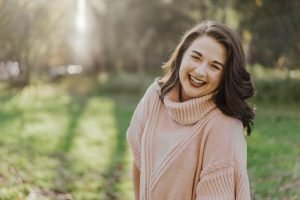 Need help setting up your GA account with your blog? Ana at The She Approach has a great tutorial. Check it out here. I think we’ve all heard the horror stories of bloggers who have lost their content due to a web host crashing or having their site hacked. One super simple way to prevent that from happening is by installing UpdraftPlus. It backs up the site so bloggers never have to worry about losing countless hours of hard work. If/when content is lost, it just takes a single click to restore the site because UpdraftPlus backs it up into a secure cloud. WP Super Cache helps to increase the page speed of a website. I actually just installed this one a few weeks ago and my page load time went from 26.17 seconds to 9.29 seconds. Crazy right?! This plugin has excellent reviews and setting it up was a breeze. The best part, it’s totally FREE! This plugin is another security measure for bloggers. With so many hackers and malicious software out there, it’s always a good idea to play it safe with security – especially that of your audience. Wordfence Security actively scans plugins, themes, and core files for anything that looks malicious. The plugin also alerts you of any suspicious activity regarding login attempts. The free version works wonderfully, but if you want real-time updates, you’ll have to spring for the paid version. I can’t even begin to explain how many spam comments I’ve gotten since starting my blog. Thanks to the Akismet plugin, most of the spam gets filtered out with absolutely no effort. The ones that do make it through are flagged for review before posting to my blog. One of the best features is the plugin shows if there are any links left in the body of the comment. That way no comments with spammy or malicious links are posted by accident. Alright, I know I said GA is the #1 tool for bloggers, but Yoast SEO is a very close second! This plugin helps bloggers create blog posts that are optimized for Google. Every time a new post is created, there should be a focus keyword, which Yoast SEO helps you set up. Yoast SEO then tracks that keyword throughout the post and offers suggestions to increase ranking efforts. Yoast SEO also has a feature to track readability and offers tips on how to help the post score better on the Flesch Reading Ease test. This feature has done wonders to improve my writing! Bloggers LOVE Pinterest. The platform acts as a second search engine to Google and is a great way to get content out there. So, it only makes sense to include a Pinterest Save Button on your blog and have graphics optimized for Pinterest. There are several Pinterest plugins out there but one of the most popular is Pinterest Pin It Button. This plugin has different options to customize the save button and it can act as a call to action to people who visit your blog. Why not encourage social shares by making it super easy for your audience? I used to use Social Warfare for social sharing buttons but I noticed a lot of people had been having issues with them in terms of hacking and being charged incorrectly (for those with the premium version) so I switched to Social Pug. The buttons look nice on blog posts and it keeps a count of how many times the post has been shared on a specific platform, creating social proof. The plugin has many customization features, which is awesome. It also won’t slow down your site, which is even better! I use Mailchimp for my email list, at the moment. My list is still very small and Mailchimp is free up to 1000 subscribers, so it was a no brainer. I love Mailchimp but the main takeaway is a subscription manager is necessary for bloggers. Whether it be Mailchimp, ConvertKit or the like, a subscription manager is going to grow a following and open up opportunities to monetize your blog. Pretty Links is a great plugin for bloggers who use affiliate links to monetize their blog. Instead of having a mile long affiliate link, bloggers can create a compact and easy to remember links for the product they’re marketing. A plugin like Pretty Links is also helpful when sharing links on social media and is a great alternative to using a link shortener like Bit.ly. 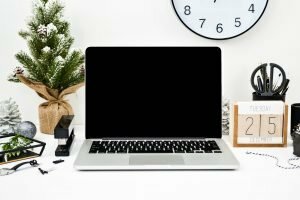 Are there any plugins you’d recommend to new bloggers that I didn’t list here? Let me know down below! It’s such a great plugin! It really opens your eyes to the way you write! I love Social warefare! I’ll gave to checkout pretty links have you tried milotree? I haven’t! Just Googled it though and it looks really interesting! Have you had a lot of success with it? Helpful post! I am on blogger but I enjoyed the “generic” suggestions you made. Great list. I have all but two of the plugins you listed. Both of which I probably need. Thanks! That’s awesome! Thanks for reading!